Situated on a Lakeland Hill Farm in a tranquil location at the foot of Skiddaw, near picturesque Bassenthwaite village, Peter House Cottages are owner maintained, quality, self catering barn conversions. 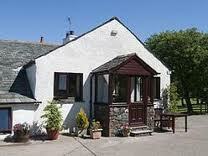 The cottages sleep 5 and 4 people respectively and are rated 4 Star with the National Tourist Board. These beamed properties are warm and comfortable, tastefully furnished, equipped to a high standard and have fantastic Lake District views from most windows. The properties are fed with Lakeland spring water which is lovely to bathe and wash in and even better to drink! The farm is located on a quiet country lane with the Skiddaw range of mountains literally on the doorstep so is an ideal base for fell walking straight from the front door or taking the car to explore the Northern Lakes (see our Things to do page). Naturally, being off the beaten track, there is also an abundance of wildlife around the farm. The local village, Bassenthwaite, has a good pub and the cottages are a short drive to the market towns of Keswick on Derwentwater and the birthplace of Wordsworth, Cockermouth. Keswick and Cockermouth between them have many shops, galleries, cinema, theatre, restaurants of all flavours and so much more. Peter House Cottages are owned by Valerie and Thomas Trafford who work on the farm and are generally on hand to suggest one of the many great things the area has to offer! Peter House Cottage is a recent barn conversion which offers accommodation for up to 5 people. Inside is a quality finish with all modern amenities. The open plan kitchen has fitted oak units, cooker, microwave and fridge. 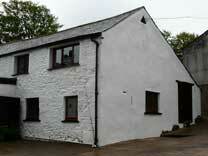 Pembroke Cottage is also a recent barn conversion with lovely beamed features. Sleeping up to 4 people, it is especially cosy and offers magnificent views from just about every vantage point and window.